There is nothing more revealing than trying to explain something you don’t quite understand! 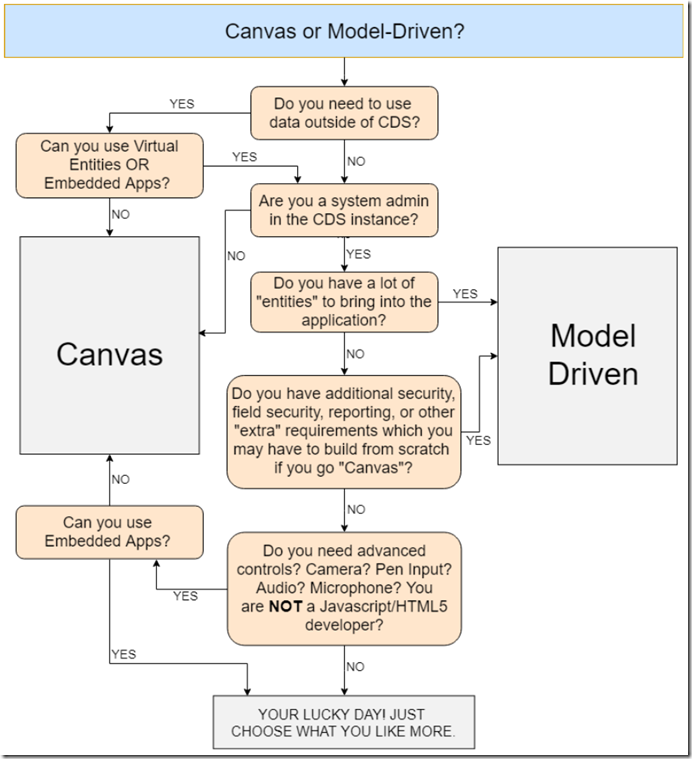 So, as I mentioned in the recent post, I had to get my head around the transformation that has occurred to the Dynamics CRM/XRM platform in the recent years before I could start thinking about the real differences between Canvas Apps and Model-Driven Apps. 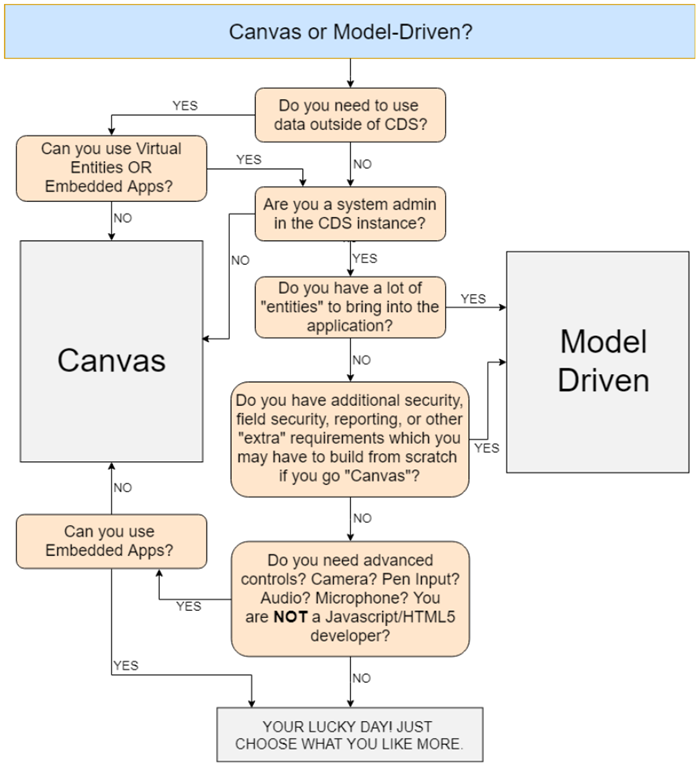 Essentially, it would be wrong to start comparing canvas apps to the model-driven apps hoping to find a clear winner. Those are very different application styles, and they are offering very different capabilities. So there might be no way of identifying a winner if we just put one against the other and try to decide. They definitely do have something in common – they are both “applications”. But, to me, trying to compare those two application styles is like trying to compare a pickup truck to a sedan car. Well, those are, definitely, both cars, but they are so different that you need to know what is it you need from a car in order to decide. Once you know that, though, it might be easy to pick a winner. Do you need to tow a boat? It’s going to be a pickup. If you can sacrifice everything else and are mostly concerned about the fuel efficiency, then you need a car, and an electric one for that. And this is exactly the purpose of the diagram above. There are a few questions there which you may want to ask yourself in order to decide on the most appropriate application style. Even though, in the end, it may turn out to be a matter of preference/available resources.